HEMPSTEAD – Waller County needs a new jail, local officers need body cameras to record their activities and the sheriff's office needs to promote civility, a study committee formed after the death of Sandra Bland said Tuesday. The county came under national scrutiny in July when Bland was found hanged in her jail cell three days after being arrested by Department of Public Safety trooper Brian Encinia, who says she assaulted him during a contentious traffic stop. Her death was ruled a suicide, but her arrest and subsequent jailing triggered accusations of racism. Bland's family has filed a civil lawsuit in federal court against the county, several of its employees and the now-fired Encinia. At Waller County Sheriff R. Glenn Smith's request, local attorney Paul C. Looney formed the study committee at the end of July to review the operations of his office and the county jail. Civil rights attorneys Craig Washington and Randall Kallinen, former Texas Court of Criminal Appeals Judge Morris L. Overstreet, and criminal defense attorneys Juan L. Guerra and JoAnne Musick served on the committee and had unrestricted access, some of the members said Tuesday. Looney served as a nonvoting member. Inmate screening for mental health and medical problems: employ EMTs to triage and assess medical and mental health issues while creating the ability for physician review and videoconferencing. Bland's death added to a long-running conversation about race and policing in America. Locally, protestors and citizens have called for Smith's job, as well as indictments of Waller County and DPS officials. "We think they will go a long way to providing better relations between all the citizens of Waller County," said Washington, who presided over the committee. "Not even dividing them down into police and public but just to all of God's children, to ensure that this community is a shining beacon of light for perhaps other community toward a more just society." "We've got to be on offense," he said. "Step up and convince the public that we're open minded ... we're gonna make changes ... we're gonna reach out to regain your trust." Smith said from what he's read, he supports most of the recommendations, but some items won't just happen in a few months. In the case of the new jail, for instance, land has been picked out but funding has not been approved, he said. "It won't be dust settling over the report," the sheriff said. Bland family attorney Cannon Lambert said it's unfortunate that it took her life for the issues the committee highlighted to come forward. "I'm glad that they're echoing the concerns that we've had," he said. But it's troubling that anger management is being prioritized, the attorney added. An officer shouldn't be on the job if they have anger issues, Lambert said. "You would hope they'd be discharged," he said. Though Bland's death led to the committee's formation, members made few references to her case and said the focus was on improving operations and the relationship between the community and law enforcement. The report, though, does reference Bland's words from one of her inspiration-themed videos that she occasionally filmed. 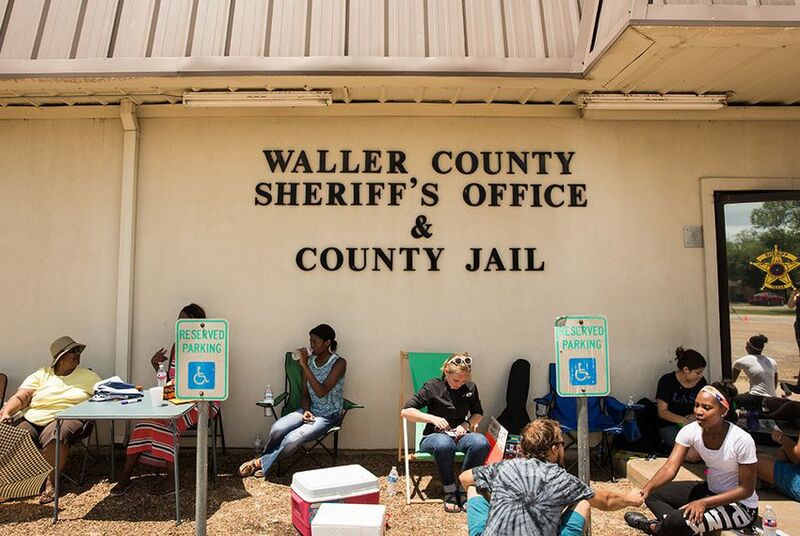 "The committee was driven by Sandra Bland's words: 'I am going to Texas to make it better.'"